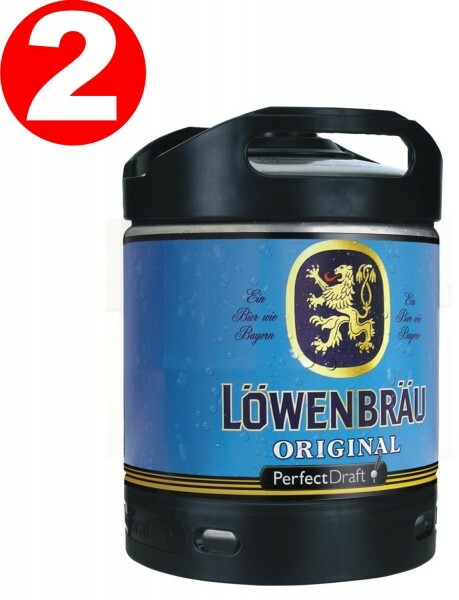 Product information "2 x Loewenbraeu Original beer Perfect Draft 6 liter drum 5.2% vol"
Munich has many originals: But just a typical original from Munich is so wonderfully refreshing as this traditional Löwenbräu, which tastes for every occasion. The best raw materials and a slightly bitter taste make this a real Bavarian lager drinking experience of the highest quality. Related links to "2 x Loewenbraeu Original beer Perfect Draft 6 liter drum 5.2% vol"
comment "2 x Loewenbraeu Original beer Perfect Draft 6 liter drum 5.2% vol"
Customer evaluation for "2 x Loewenbraeu Original beer Perfect Draft 6 liter drum 5.2% vol"
Shares Zwick'l Kellerbier 20 x 0.5 liter 5,3% vol.